Mortgage fraud is a serious and widespread crime that’s easier to be charged with than you may realize. Once you understand what mortgage fraud is, you can stay far away from it or get professional help if you are facing potential fraud charges. Fraud for housing involves deception to obtain a home loan despite not truly qualifying for it. Some people bribe others with good credit to apply for the loan for them. Others lie about their income. Investors may be tempted to lie about their intentions for a property in order to get a cheaper loan. 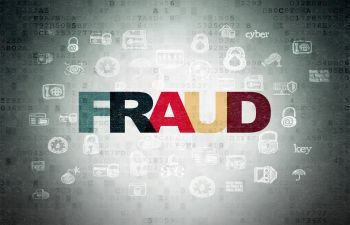 The other kind of fraud typically involves cooperation with individuals on the inside of the industry. For example, someone could appraise a house and claim it’s worth far more than its market value so that the buyer gets a larger-than-necessary loan and then they split the extra cash. Even unwitting victims of mortgage fraud schemes have gotten caught up in the actions of others. You might have just co-signed for something without even realizing any fraud was involved. Perhaps you were just looking for some financial help in a time of hardship and wound up in the wrong place at the wrong time. Mortgage fraud carries serious legal repercussions and can even cost you financially if you’re compelled to pay restitution to the victims. Whatever the case, you can count on Richard Grossman to help you reduce or drop the charges completely. Call the best defense attorney in Atlanta to learn more through a zero-obligation consultation.